NSS has welcomed the BBC Emerald carrying 81 wind turbine blades, each more than 55m long, for the Mount Emerald Wind Farm project. 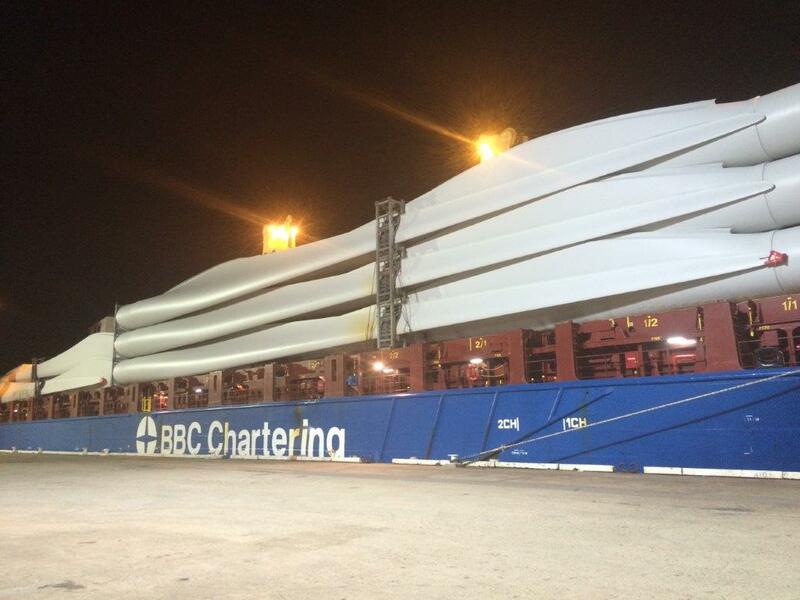 The BBC Emerald arrived in Cairns on September 26 and the blades are being unloaded using its cranes in dual lift configuration. 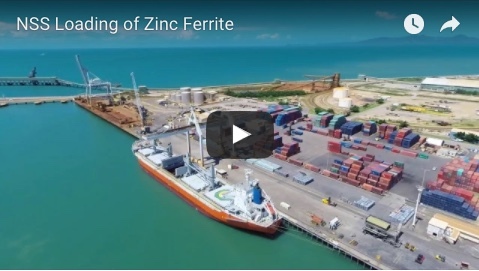 It follows the arrival last week of the first vessel carrying Mount Emerald project cargo into the Port of Cairns, the MV Erna Oldendorff. 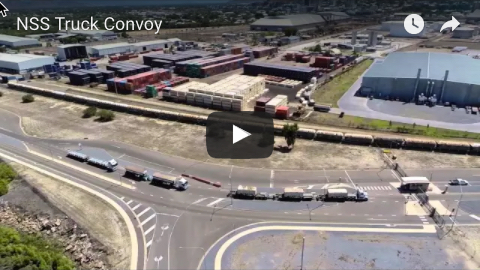 NSS stevedores were engaged to carry out the unloading activities, discharging 70 tower sections to specialised transport from Rex J Andrews Transport. The tower sections were transported to a nearby laydown area in preparation for co-ordinated deliveries to the project site. Ratch Australia Corporation’s $360 million Mount Emerald Wind Farm is expected to generate an estimated 500-600 GWh per annum (capable of powering 90,000 homes) through its 53 wind towers when complete.